A colour photograph of Charles Street in Port Whitby. 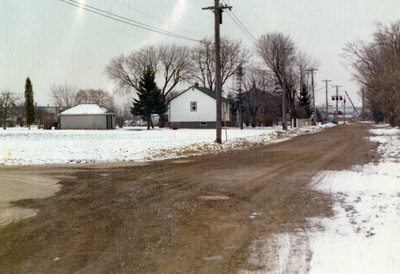 This view was taken from the corner of Watson Street and Charles Street looking south on Charles Street. Charles Street Looking South, 1977, Robert Kirk. Whitby Archives D2013_005_008.